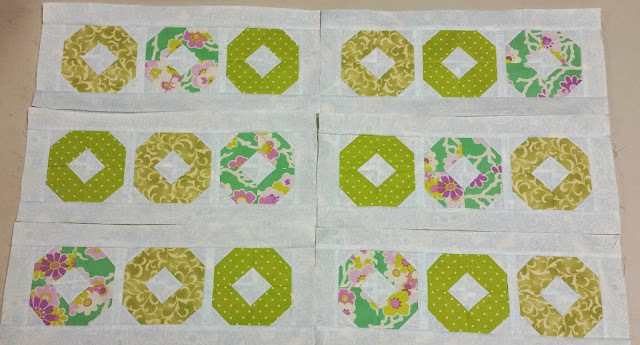 A Quilting Chick: Wreaths Done! 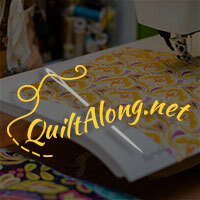 Linking up with Quilt Story. 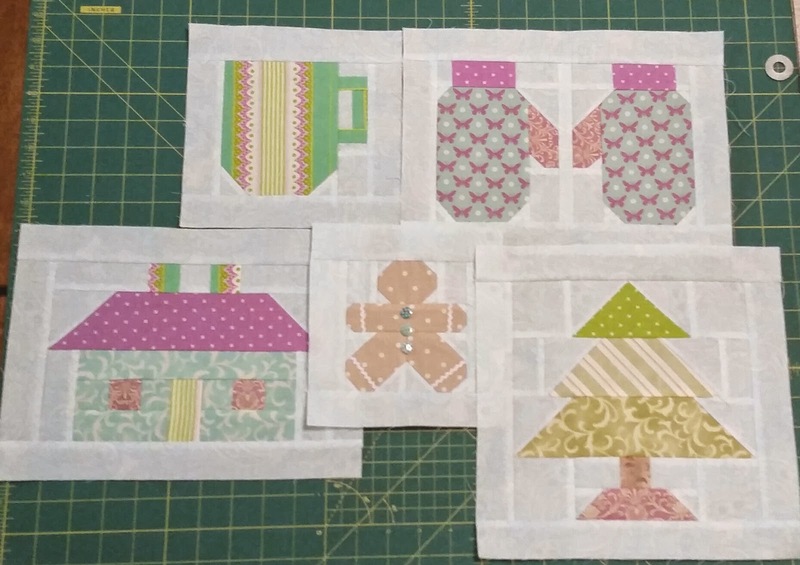 Oh, what fun colors and fabrics to use for Christmas! 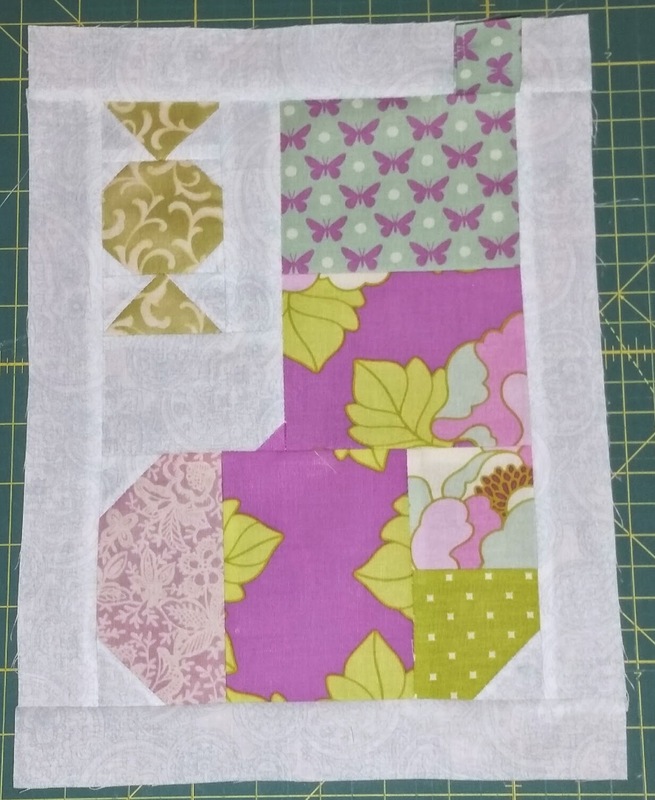 Such a pretty combination...this is going to be lovely! 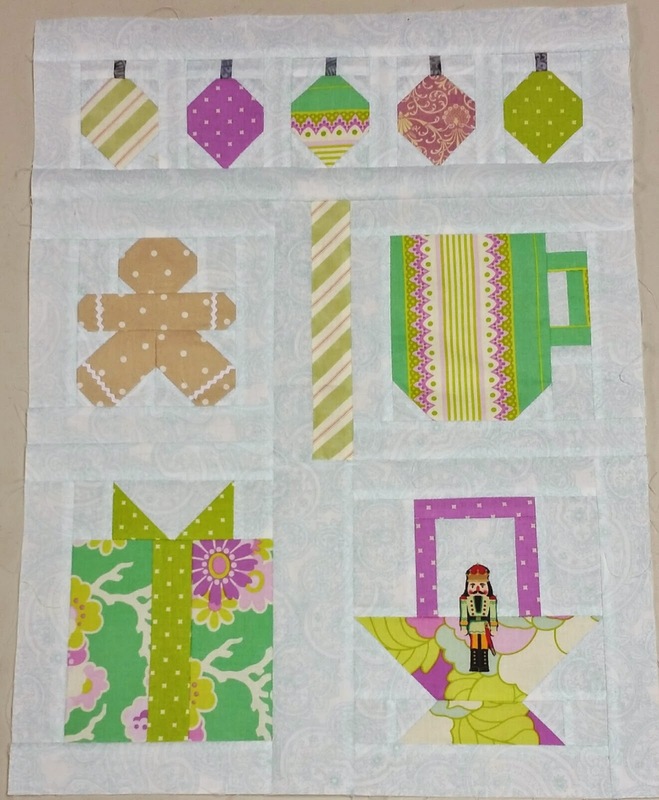 I love your non-traditional fabrics for this adorable Christmas quilt. Well done! 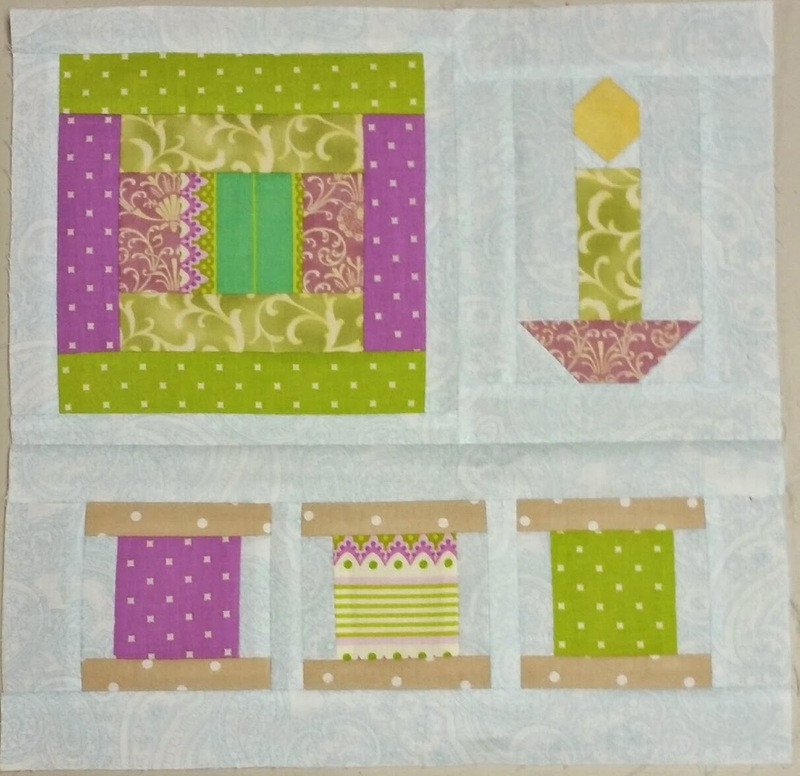 It sure looks like a fun and relaxing quilt to make.